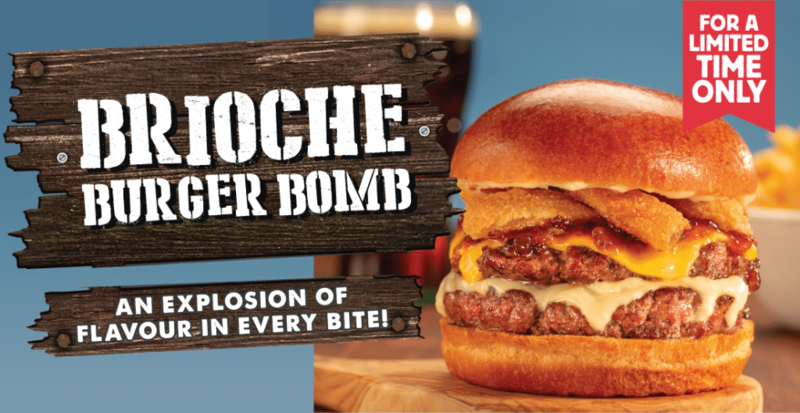 Introducing the Brioche Burger Bomb! It all starts with a buttery, golden Brioche Bun and two juicy 1/4 lb fresh, never frozen Alberta Angus beef patties. Then, we add Swiss & American cheese, crispy onions, sweet & savoury bacon-onion marmalade and mayo. It’s an explosion of flavour in every bite! Did you know? Fatburger Canada is proudly Canadian owned and operated. We source our premium ingredients – like fresh, never frozen Alberta Angus beef, 4 varieties of cheese, lettuce, and award winning tomatoes (to name a just few) from within Canada. Hey, when you’ve got the best ingredients available nearby, why go anywhere else?